Sara Blakely is an American businessperson and a self-made billionaire. She is the Founder of Spanx, which is a hosiery company based in Atlanta, Georgia. Her list of achievements is illustrious. Forbes has ranked her as the 93rd most powerful woman in the world in the year 2014. Sara in the true entrepreneurial spirit has recently announced “the next generation of LEG-UP”, a programme designed to recognise successful and like-minded female entrepreneurs. 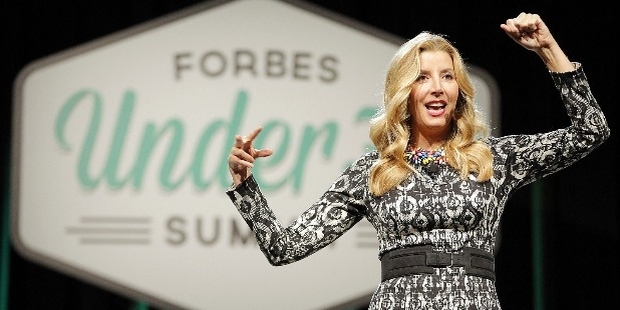 Sara Blakely was born in Clearwater, the beach town of Florida, on February 27, 1971. Her father was a trial attorney. She studied from Clearwater High School and has done her graduation in Communications from the Florida State University. Sara was a part of Delta Delta Delta sorority at FSU. She displayed entrepreneurial skills from her very childhood. She would create a haunted house for Halloween in her neighbourhood and charge her neighbours for it. Sara Blakely had planned to pursue Law, but on failing the Law School Admission Test; joined the Walt Disney World in Orlando, Florida for a few months. She performed as a stand-up comedian during this period. Sara worked as a sales person selling fax machine with Danka, an office supply company. The seeds of Spanx germinated in Sara’s mind while she was still employed with Danka. Sara’s journey to becoming one of the most successful and talked-of entrepreneur is an inspiration in itself. It serves as a standard that other entrepreneurs strive to attain. She is now on her way to launching her LEG UP programme. This line-up will showcase and encourage business-women. For Sara, it has been a relentless journey spanning 15 years. She continues to bring about a revolution in the way women dress up. Sara introduced slimming denim, which included products such as, footless pantyhose and yoga apparel. A personal experience motivated Sara to launch Spanx. At the young age of 27, she relocated to Atlanta, Georgia and invested her life-savings into giving shape to her hosiery idea. Her accomplishments are no mean feat. Sara wrote her own patent, as she could find no female lawyer to do the same. The hosiery mills in North Carolina refused to entertain her. But her fortitude paved the path of her success, and the first product prototype was soon completed. Sara set new standards in the hosiery market with her novelty and enterprising nature. She chose a bold ‘red’ for packaging her product and used varied animated images of women. 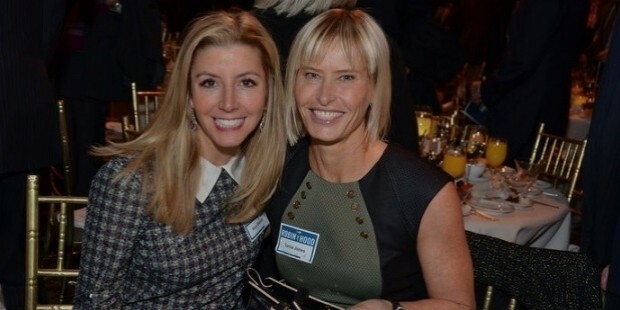 Ambitious and focused, Sara Blakely’s meeting with a representative of the Neiman Marcus Group proved to be the turning point in her career. She convinced the representative of the benefits of her designed product. Her product found a place in seven Neiman Marcus stores. That was just the beginning, and prestigious brands; Bloomingdales, Saks, and Bergdorf Goodman came along. Sara gifted Oprah Winfrey a basket of her products, with a note explaining her idea. This gesture heralded her brand to greater heights of success, as Winfrey named Spanx a “favourite product”. Sara owns 100% of the brand. Spanx has its headquarters in Atlanta, GA. Having established its identity in approximately 50 countries, Spanx is opening retail shops in the United States. The brand has created and sustains its motto of making women realise their potential and true worth. Sara fosters the ambition to design the most comfortable pair of high heels. Sara has also been associated with television. She participated on The Rebel Billionaire, a reality television series and stood second. Sara was one of the judges on ABC's reality television series, American Inventor. he appeared on the Oprah Winfrey show and donated the proceeds to the Oprah Winfrey Leadership Academy for Girls.Sara was the first female billionaire to join the "Giving Pledge", where one donates at least half of one’s wealth to charity. Sara is rumoured to be available for a price at a “date-auction style charity fundraiser”. Sara Blakely is married to former American rapper Jesse Itzlerat. The wedding took place at the Gasparilla Inn and Club in Boca Grande, Florida, U.S. The couple are blessed with three children. Sara was ranked the 93rd most powerful woman in the world by Forbes in 2014. She was the first female billionaire to be a part of the Giving Pledge. Under this pledge, the rich donate at least half of their wealth to philanthropic causes. On account of her impressive achievements, Forbes magazine featured Sara as the world’s youngest, self-made female billionaire. She found a mention in ‘Times’ 100’, the 100 Most Influential People in the World’s annual list.